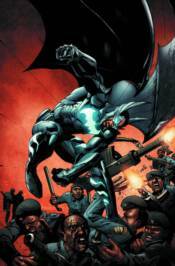 Batwing has never been under more fire than in these stories from issues #13-18. First, David must fight one of the most crooked cop forces on the continent. Then, Batwing tries to take down the deadly Father Lost and the Sky Pirate, who put David's allies in danger.